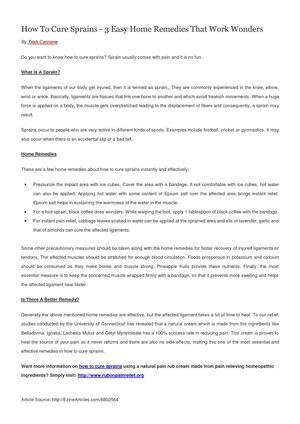 How To Cure Sprains - 3 Easy Home Remedies That Work Wonders By Trish Cannone Do you want to know how to cure sprains? Sprain usually comes with pain and it is no fun. These are a few home remedies about how to cure sprains instantly and effectively.